Today I’m writing about the Seiko SARB033 review, a watch that I’ve owned and enjoyed greatly. 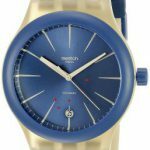 The watch is intended to be dress watch and have taken its design cues from the Grand Seiko line – which says a lot of why it’s so good looking. Simple, elegant and understated. Those are the three words that can be used to describe this watch. I first encounter this watch a few years ago from watch forums and facebook groups. I still remember how impressed I am with the watch back then from photos shared by others. It was hugely popular and I can clearly saw why. I didn’t pull the trigger back then. It was until I needed a more decent watch for work that I revisited the SARB033. The thing is, I was mostly a dive/sports watch kind of guy. It’s versatile and can be used practically anywhere. But then, I sensed that it’s not a good fit to my image (had moved up the ladder in my company that time). Thus, I needed a new watch, a watch that’s good looking and exudes professionalism. And that’s how the Seiko SARB033 came to my attention again. Now, I’m a proud owner of the SARB033 and I still am constantly wowed by the watch every single day. It’s perfectly sized (my small wrist fits 38 mm diameter watches like a charm) and the deep black dial is just stylish and looks far more expensive that it actually is. And the best part is it’s packed with so much feature at such an amazing price (sapphire crystal, automatic movement with open caseback, 100 m water resistance). Long story short, if you’re looking for a stylish dress watch with an automatic movement inside it, you should seriously consider the Seiko SARB033. 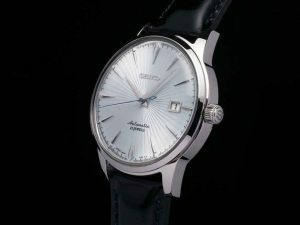 As with the Seiko Cocktail Time, the SARB033 is also a Japan Domestic Market (JDM) model that is not available outside of Japan. Luckily, there are a number of watch sellers online that we can use to get our hands on it (Amazon is a good choice). It only retails around $350 to $400, and in that price range, it is definitely unbeatable. A truly good value for money watch. A close up view of the watch face of the SARB033. Very simple dial design, but elegant and sharp at the same time. I totally dig the laser cut sharp hands and markers! blackdial, has sword shape hands and index markers. It has a date display at 3 o’clock. 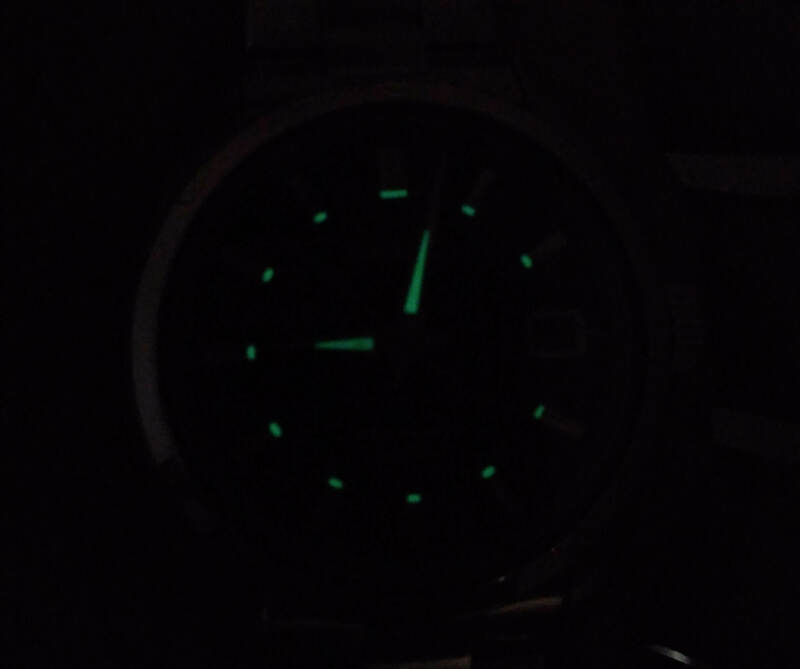 The hands and markers has some lume on it for added functionality. The index markers are quite unique as it has some indentation at the center causing it to have some sort of play with different angles of lighting. The 12 o’clock marker has double indices to separate it from the other markers. At the outer edge of the dial are minute markers for more accuracy when telling time. One thing that surprised me is the application of lume on the markers and hands. I did mention that it makes the watch more functional in the dark but it’s still interesting for Seiko to put it on a dress watch. If you’re wondering if it’s a great lume as in Seiko’s diver watches, I’m afraid to say that is not the case with this watch. While it has lume, don’t expect it to be as good as its dive watch siblings. It did give some help telling time in dark places though. Looking at the design, it is just so simple and clean. It reminds me of the Grand Seiko Hi-Beatand the Rolex Datejust due to the simple dial design. Sometimes, simpler can be better and it is just true with watches. This Seiko SARB033 is not an exception in this regard. Just look at both luxury watches below and you’ll understand what I mean. Comparison between the Grand Seiko Hi-Beat (top) and the Rolex Datejust (bottom). Two top-of-the-line watches with simple dial design. No wonder the Seiko SARB033 has the nickname of “Baby Grand Seiko” as it has almost the same look, but of course with lower craftsmanship and movement quality. make it look great. The case is made from stainless steel and is beautifully crafted. If you notice from the picture below, the lug is slightly curving down. It’s a typical case design of Seiko for some of their watches and it just looks beautiful, not to mention it is very comfortable to wear. I have a Seiko Sumo (a diving watch SBDC003) with the same case/lug design and I can attest to how the watch just sits and grip my wrist perfectly. Ask any SARB033 owner and they’ll agree that the strongest point about the watch is the exquisite craftsmanship, namely the case. The case is mostly brushed, but it is polished in detail at some part of the case – namely the small space between the top of the case and the case’s edge. Such attention to detail and effort poured into it is starkly different than what other watchmakers will give, at this price point. The layering of brush an polish surfaces is very beautiful to look at. I can’t count the number of times when I had gazed on the exquisite case. The lug width of 20 mm make it easy to find another strap to suit it with. It’s very interesting to see how a watch will look like with different straps on it. I’m a part of many watch groups on Facebook and the creativity of how the owners of the SARB033 never fails to astonish me. They strapped the watch on leather, Nato, in various colors, – and everytime the watch turns out great. A good thing about black dial is how versatile it is with various straps and this is truly the case here. 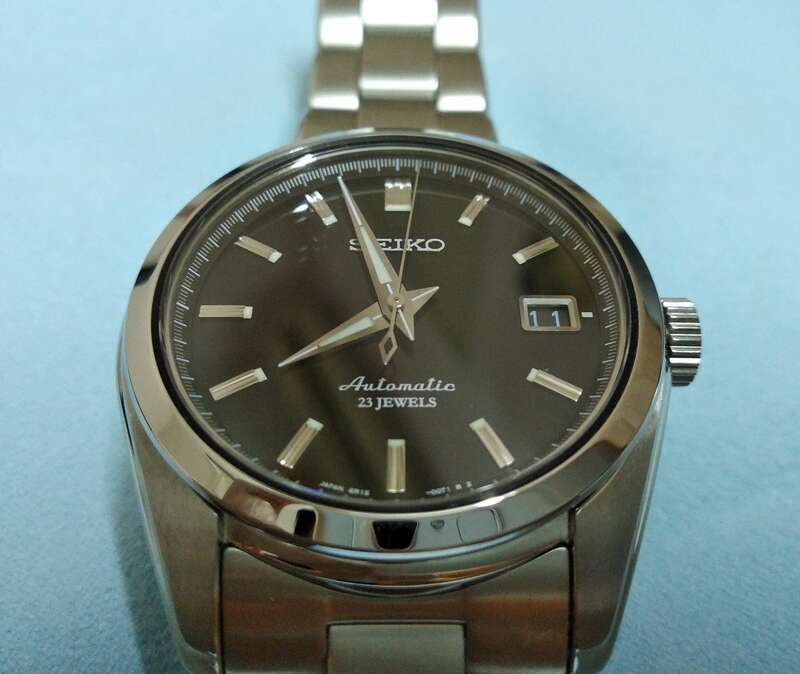 There is also the Seiko logo “S” engraved on the crown. These small but satisfying application of details is very astonishing, not less because this is a low-middle range watch from Seiko. Notice how the lug of the Seiko SARB033 beautifully sloping down as if to provide a grip to the wrist. Very comfortable and give a sleek design aspect to it. As with any Seiko at this price range, the bracelet can be said to be it’s weakest point, and the same can be said for this SARB033. The stainless steel bracelet is solid and tough though, don’t get me wrong. But what I’m talking about is that Seiko does not put as much effort on the bracelet, as it has done for the watch/case. The bracelet is brushed, and have a small deployment clasp which looks modern. The Seiko sign on the claps is a nice touch too. 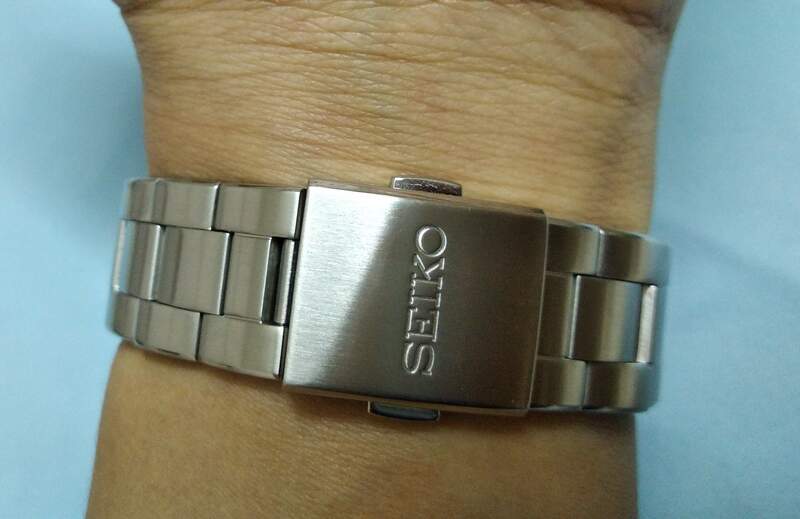 But the finishing of the bracelet could have been better in my opinion but then again we need to understand that Seiko had to cut corners on the bracelet to maintain a low price for this watch. Another small mishap in the design is the gap in-between the clasp and the top bracelet links. But this should not be a huge issue, at least for me. Sizing the bracelet is a tad bit difficult though as Seiko opted to use a pin and collar design. I’d suggest to check out Youtube (here is a great tutorial) on how to remove links and size the bracelet. Fortunately a replacement strap is very easy to get and for some few dollars, one can get a beautiful leather strap online for this watch and it will look stunning too. A great thing about the watch is the sapphire crystal on top of it. It can be said to be the best type of watch crystal to be used on a watch due to its great scratch-resistant properties and longetivity. Sapphire sits at the top of the hardness scales, only beaten by a few materials such as diamond. I never tested this myself though but it should withstand scratches from normal materials around us such as bricks, metals and such. I’ve owned some mineral and hardlex crystal watches and I dare say those scratches easily. But with this baby, not so much as a scratch is there after some good use! This makes the watch a totally huge value for money, as it’s quite hard to get an automatic watch with sapphire crystal at the kind of price the SARB033 is in. the middle range watches (this is also the same movement in the Seiko SARB065 Cocktail Time). 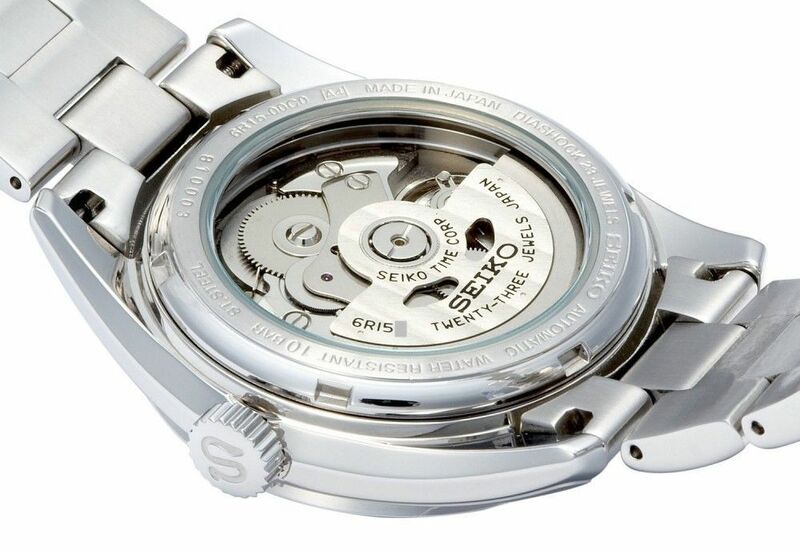 This is a very solid and robust movement from Seiko. I would like to point out that Seiko’s diving watch range (the Prospex line) would typically use this movement – a testament of how the 6R15 is so tough, that it can be used for even the harshest condition underwater. The Seiko Cal. 6R15 has 23 jewels and vibrate at 21,600 vibrations per hour (or 6 beats per second). Since the beats are not high, the smoothness of the sweeping second hand is not as good as a normal Swiss ETAs movement. But in return of that, Seiko claims the 6R15 will be able to go without service for much longer as its “mileage” is lower. Which is kinda true. If we think about it, an 8 beat movement has about 30% extra movement than a 6 beat (2/6 x 100%). By this, the Swiss 8 beat movement will have 30% more mileage on them (versus a 6R15 movement) and would require services sooner and more frequent in its lifetime. By the way, I’ve also owned the Seiko Sumo SBDC003 which has the same movement as in this SARB. One interesting thing that I noticed is the winding sound in this SARB is a bit “loud”, akin to some ETAs that I have handled before. On the other hand, the winding sound in the Sumo is more quiet. Not very sure whether it’s the extra steel on the Sumo (it is a bigger watch at 44 mm diameter) which have reduced the sound. 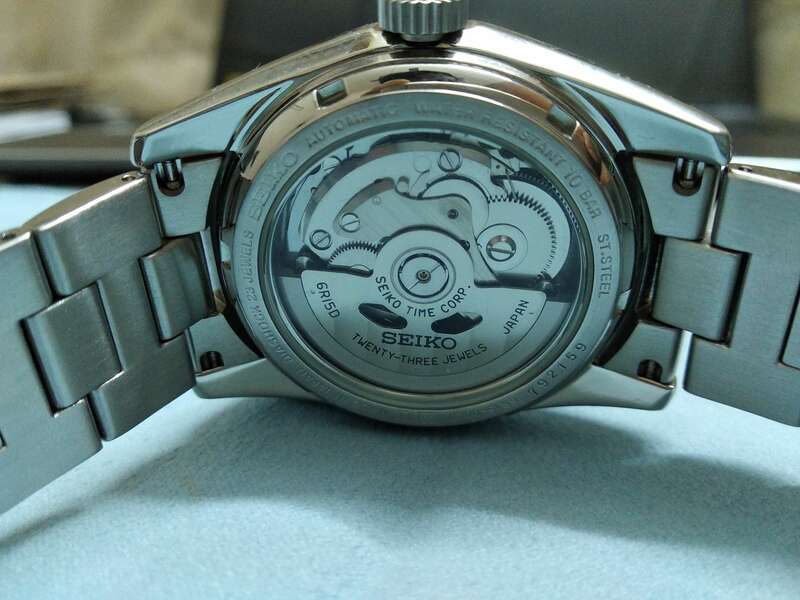 Another important thing to add about the 6R15 is it’s able to last for 50 hours, thanks to SPRON510, a proprietary mainspring by Seiko (read this article for in depth explanation of how an automatic watch work to understand this). It also has hacking feature (meaning the second hand will stop when you want to adjust the time) and can be wind manually via rotation of the crown. You can also peek at the movement through the exhibition caseback of the watch. There is an exhibition caseback on the Seiko SARB033 to allow you to marvel at the Cal. 6R15 automatic movement. It has a published accuracy range of +25/-25 seconds per day. But from my own experience (as well as countless others review of Seiko lovers around the world), the accuracy can be as high as +-5 seconds per day which is just within COSC Chronometer range. One thing about this movement is that you need to wind the movement manually at least once a day for it to keep perfect time, even though you are using it everyday. This is because all automatic watches is at their best accuracy when it’s fully charged. How About Seiko SARB033 Accuracy? What’s a watch review without discussing its accuracy? To my great relief, my watch is performing miles better than what Seiko specified for the 6R15 movement (which is +25/-15 seconds per day). Over a period of 5 normal working days, I’ve averaged +4.5 seconds per day. There’s some spikes here and there but on the big picture, yes, the SARB033 did beat COSC chronometer specification by 1.5 second (COSC +6 sec/day – 4.5 sec/day). But I need to note here that the COSC chronometer is tested for 5 different positions of the watch in 3 different temperatures. This is definitely a more extreme test encompassing a wide range of conditions. Whereas my testing of the SARB033 is more towards real-life usage with just two main conditions of use: a) put the watch dial up in a box overnight; b) pick it up for work the next morning. Without a doubt, if the SARB033 and the 6R15 inside it is tested for COSC chronometer, the result might not be pretty. On the other hand, I fail to see if other guys would use the watch any differently than how I use it (unless you are involved in outdoor activities and such.. but then again you SHOULD NOT wear a dress watch like this for such activities LOL!). The point I’m trying to make here is how important COSC chronometer watches are anymore? We can get a pretty accurate watch in the SARB033 (which actually beat chronometer accuracy spec) without spending thousands for chronometers. Just a point to consider when looking at those chronometer adverts =). Let me know what you guys think about it! Seiko SARB033 (top) versus Seiko SARB065 Cocktail Time (bottom). Two beautiful and affordable watch. But which one is better? 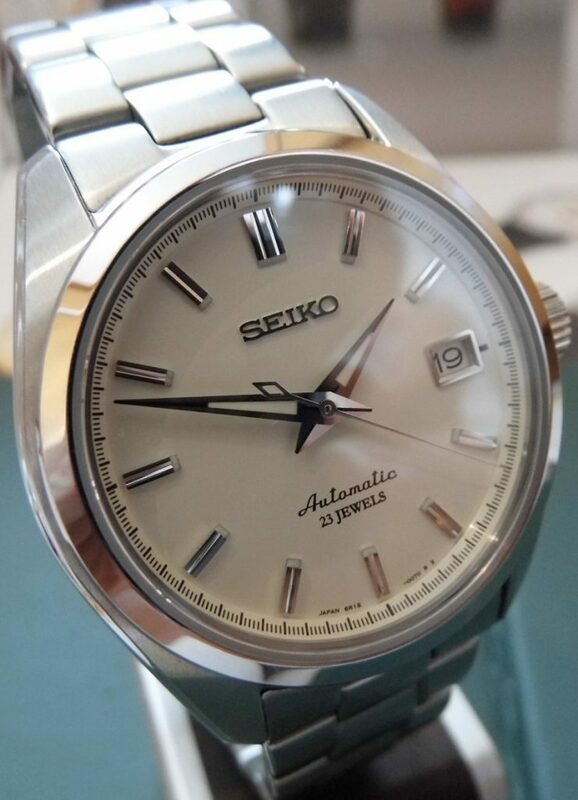 How Does Seiko SARB033 Compare To Seiko SARB065 (Cocktail Time)? I’ve covered the Seiko SARB065 Cocktail Time before (you can read the review here) and it is just a stunning dress watch. It has a sunburst guilloche dial that is so mesmerizing to look at. But how does both of these watches compare to each other? It is truly a difficult thing to ask. Technical wise, both have the 6R15 movement inside. The Seiko SARB033 has a simple and traditional black dial, as opposed to the flashy sunburst dial of the SARB065. Some people might not agree with me but I believe that the SARB065 wins over the SARB033 aesthetically for the dress watch category. With its beautiful dial, it will surely caught people’s attention. I also love the blue second hand and also the detail on the markers and hands – they are so well executed. It’s just a gorgeous watch for when you are dressing up for the occasion. But for other more casual activities, the SARB033 will be my pick. The not-so-flashy-and-simple dial would work better when going out with friends, etc. Plus, the curvy lug will ensure you are comfortable wearing it for long time. I’m for sure won’t be wearing the SARB065 when going to the beach or taking a roadtrip as it’s just not the right watch for those activities. Impressed with its simple and understated elegance? Get this Seiko SARB033 From Amazon! As with any other JDM watches, there is no possibility at all to see this watch at our local watch shops. The only way to get it is by going to Japan and buy it there, or buy it online. 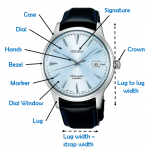 If you are looking to buy the Seiko SARB033 automatic watch, look no further than Amazon. Amazon usually has the lowest price for this watch. 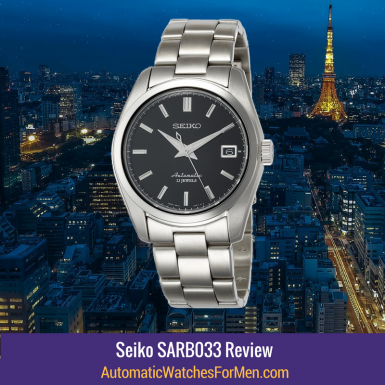 Click the link below to check the latest deals of Seiko SARB033 on Amazon. 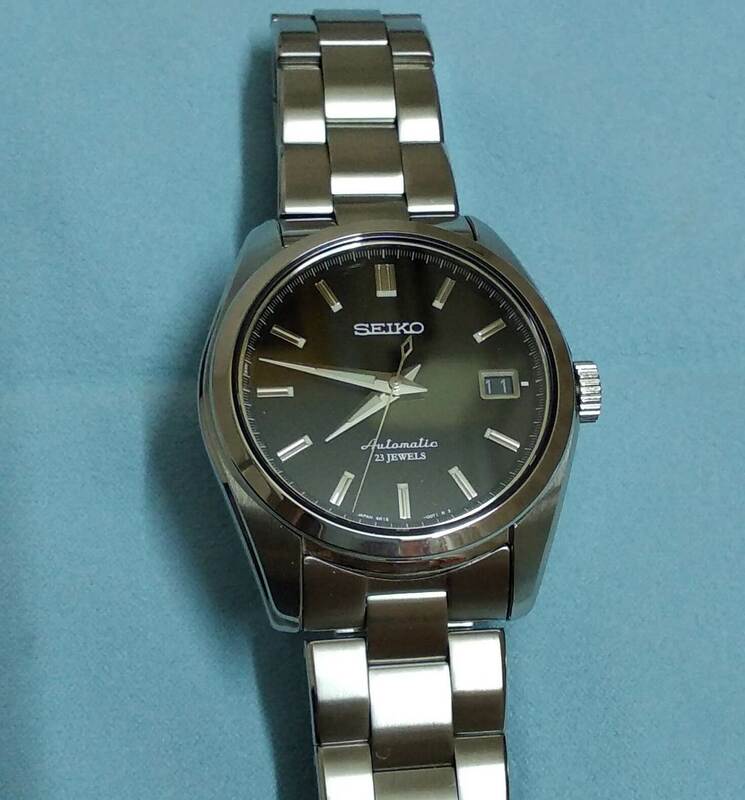 Update March 2018: It seems that Seiko will be discontinuing some SARB watches including this SARB033. If you really want it, I suggest to quickly get it NOW! The Seiko SARB033 automatic wrist watch is a simple, elegant and understated watch that is just so amazing. Built with quality in mind by Seiko, this watch is definitely a great value for money given its solid construction and minute details in its craftsmanship. With a Seiko automatic movement Cal. 6R15 inside it, you are getting a reliable and accurate movement that is used in Seiko’s diving watches intended to be used in tough environments. I hope you guys enjoy my Seiko SARB033 review. If you have any questions or comments on the watch, feel free to ask me. Share this on your social media if you loved it. I really appreciate it =P Don’t forget to subscribe to my site for more awesome stuffs in future. Till next time then. Wow! That’s a lot of information, but great information. My spouse is a lover of watches, but I never know what type to get. 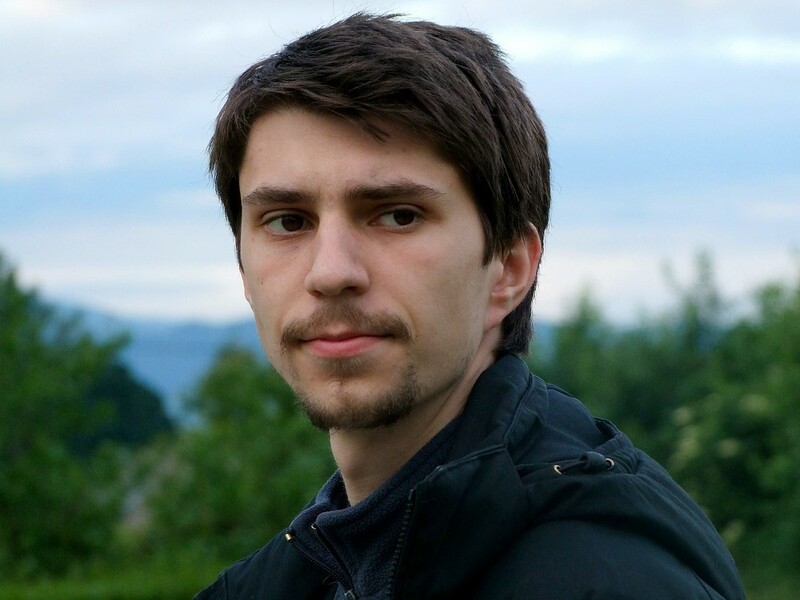 This article has given me a good insight in what to look for . I love the styles of these watches in particular, so I will be looking more into these and will most likely purchase one for the upcoming holiday. Hi Kayla. Glad to know you’ve learned something from my article. Let me know if there’s anything else you want to know about this gorgeous Seiko SARB033. 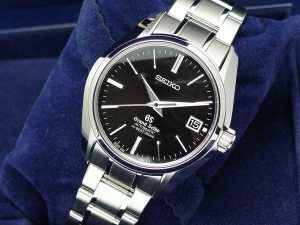 Excellent review, as a watch lover i never heard about this brand SEIKO, and after reading it i’m really looking for one. I love the finish, the details and the brush bracelet. But i’m not sure if it will love our climate here in french polynesia (South pacific). The temperature is hot and with have 88% of humidity all year. What a simple but beautiful dress watch. I’m a bit of a watch collector myself so every week I search the internet for my next purchase (I have 125 watches so far,lol) my wife hates the fact that I get so exited about watches but everyone has a weakness don’t they. I have around 26 Seiko watches to date but I’m sure the Seiko SARB033 will be my next addition to my collection. Wow that’s a great number of watches buddy! And Seiko easily is about 25% of that LOL! Thank you for giving such a descriptive review. I am a really big watch person and I already have many Seiko watches in my possession. I will definitely be willing to buy this. In my region, Amazon’s shipping fee is very high. Is there anywhere else I can buy this watch? Hi Michael. I’m glad that you find my review to be useful. Besides amazon, you can try other online watch retailers such as jomashop, ebay etc. You can also check seiyajapan as that site specialized in japan watches. Let me know how it turns out will ya. I just showed my husband your site and he scanned and read everything. He is a huge watch person, I believe he has nearly 40 watches now and is always on the look out for others that catch his eye. He was thrilled to find reviews and information that he may get from the jewelers or places that he would purchase them from, so thank you for making providing the information on one of man’s best friends. 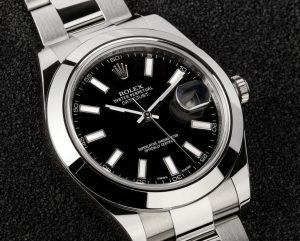 Great review, I especially like the classic lines of the watch, very understated and as your comparison photo shows, very similar to the classic Rolex Datejust which has stood the test of time. I am curious about the accuracy range, +25-25 seconds seems long? I really do like the look of the watch and I’ve just spotted the snowy white dial version which I like even better. Hi Tony. Yep the understated classic look of the watch is one of its strong points, as many of Seiko’s fans would agree. 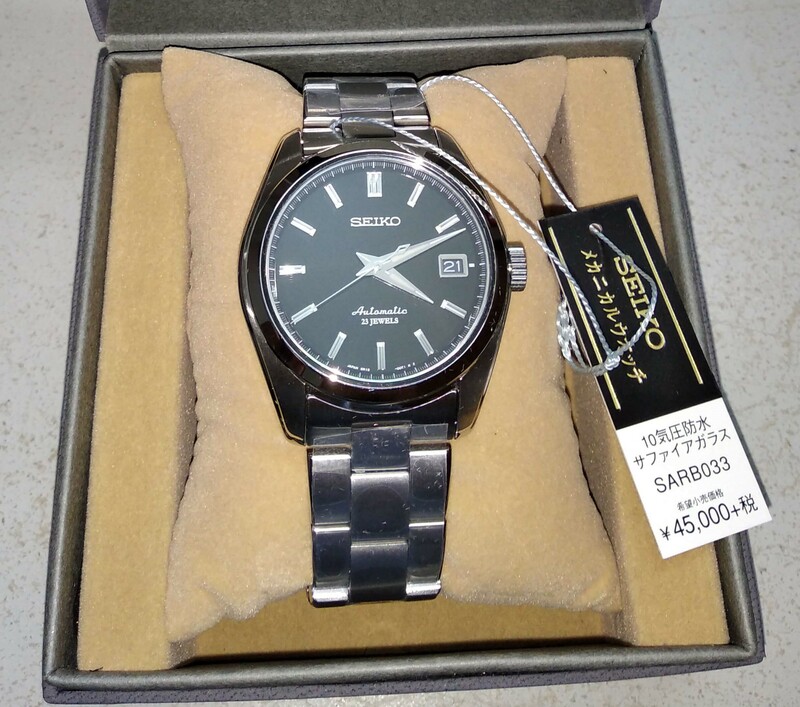 I just bought the Seiko SARB033 after visiting your website. I love Seiko and have several of their watches. Automatic watches are my favorite. The Seiko SARB033 is only $360. I had to have it for that low price. 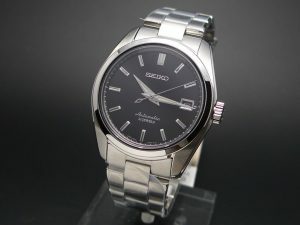 For those of you looking to buy the Seiko SARB033, do it now before the price goes up. It will not sell for this low price for much longer. Sarb033 and sbdc003 has same case and lug design? 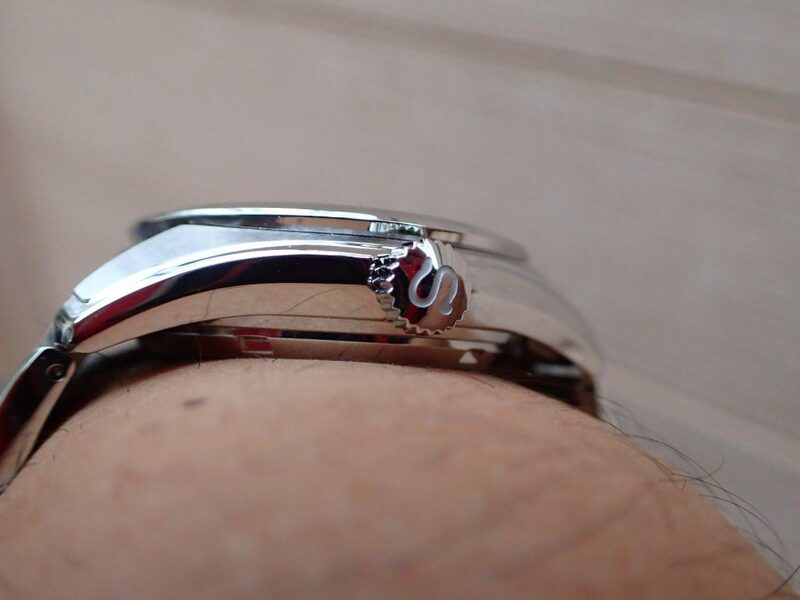 Then I can use sbdc003 bracelet to sarb033? Hi Sungwoohan. 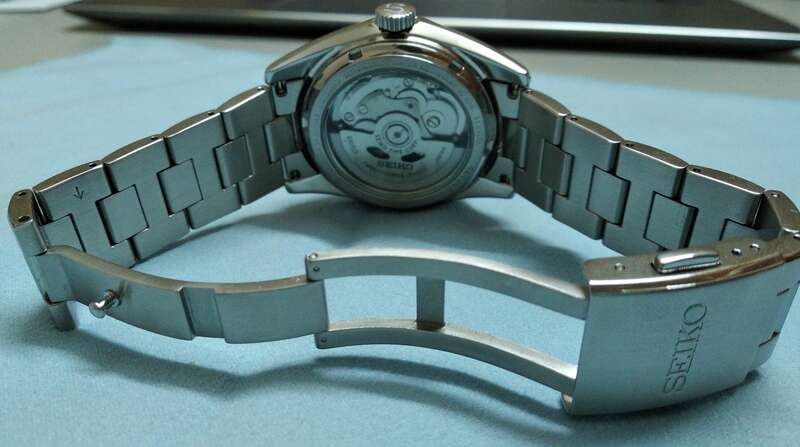 The lug design of both watches are almost the same and both are 20mm. I think the major difference is the SBDC003 has lug holes at its sides, while the SARB033 does not have lug holes (meaning it’s a bit harder to open the bracelet/strap from the lugs). Dimension wise, the lug of SBDC003 is a bit thicker but won’t be that apparent. I only have concern on if there will be a gap between the bracelet to the case. If you have the bracelet and the watch right now, you can just try to fit both of them and see how it works. Let me know how that works out will ya! Hi Peter. I’m happy that you love this watch. I also feel the same way the first time I laid my eyes on it. I was first introduced to the Seiko SARB033 while surfing youtube. Some guy did a review of it and I just thought to myself how gorgeous this watch is. I always knew Seiko as the maker for cheap Seiko 5 and some diver’s watches but never thought they could make something as elegant and handsome like this. Wow! I’m in love with this watch. I agree that it is elegant and I like that it isn’t too flashy. My boyfriend is obsessed with watches and I might just have to get him this for his birthday. The simplicity of it really sold me. Thanks for the great read, I’ll definitely look into this! Hi, I like the way the post is presented, in terms of the easy to the eye. The usage of bright sharp visuals keeps you engaged on the page. The information is not too overwhelming. Personally i’m not a big fan of Seiko watches but you may just have sold me on this one! Hi Shahab. Glad that you like this post. My intent with this blog is to document my research and reviews of watches. Along the way, why not spread the love of watches to other people too right? I know how you feel buddy. 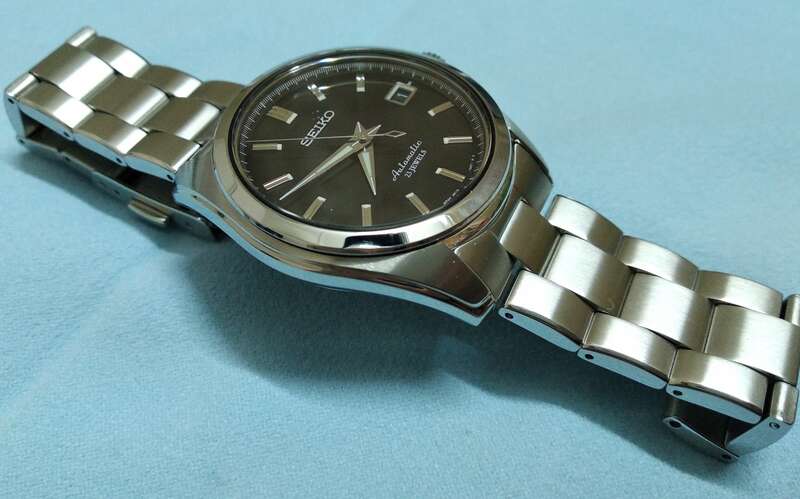 A few years ago I also have the same perception about Seiko: cheap Jap watches. But after I dig deeper, I found that Seiko is one of the biggest watchmakers of the world, producing watches of various functionalities with all range of price tags – from the cheapest $10 watch to watch worth thousands. this looks like a great watch and for a great price. i think it looks really classy and expensive, as per the pictures you showed it looks just like a rolex! i love the simple and elegant design, and it doesn’t seem to be too big either. i am not a fan of those huge watches that are so popular now. Hi Brad! I totally agree with you. Those huge over sized watches are just bad taste in my opinion. Why anyone would wear such a watch is beyond me…. For me, a perfectly fitting watch to a wrist is the best, just like how a perfectly fit suit will look gorgeous on a man. That’s the essence of style that some people don’t really agree nowadays. Anyway, glad that you like the SARB033. Thanks for visiting buddy! I have been looking for a birthday present for my grandfather and I honestly don’t have a clue on what to get him. I figure a watch would be a good way to go but there is something I would like to know first. If I purchase this Seiko watch from the amazon link you have here will I be able to get a refund if for some reason I need to? Hi Jason. Apologies for the late reply.. Well you know with the New Year holiday and stuffs.. I’m glad I could be of help to you. As for your grandfather, I’m sure he is going to love a watch like this. I’m simple, and yet so elegant and beautifully crafted. Amazon has an amazing 30-days return policy where you can return it if you feel the watch is not to your liking. Refunds can be in the form of Amazon gift card or your original payment method. Check out this link here that shows you how to do that. I’ve been looking to replace my old beaten watch for a while now and have been searching around numerous places. This watch looks right up my street. I didn’t really want to spend more than about 300 GBP so this falls well within my budget. I was concerned early on about the steel bracelet because as I’ve got older I know enjoy leather straps more – partly for the comfort but mainly for the look. However you say this can be replaced and that this watch face does go well with a leather strap so I will investigate further. Cheers for the indepth review, you clearly know a lot about watches! Hi Ed. Glad to have you here. The charm about Seiko watches are the cheaper price than their Swiss competitors, at the same level of quality that you will get. I’m sure you are going to enjoy it buddy. On the steel bracelet, I have to admit that not everyone loves it. It totally depends on what you want to wear, and since it can always be changed anyway it’s not a big deal to me. If you do want to change the bracelet of your watches, I suggest you keep all parts of the bracelets including the pins. You never know when suddenly you have a change of mind and want to try the bracelet. Cheers! I’ve had this watch for over a year now. It is very accurate for this price range, just +/- 5 seconds a day. It looks elegant and has a great case. My only negative would be the bracelet which feels light and cheap and can pick up scratches. Hi Ranvir. 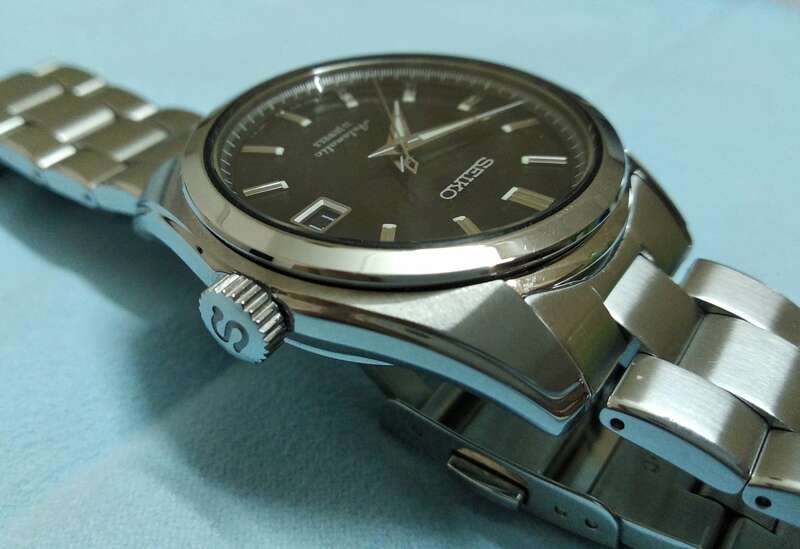 That’s a common issue with many Seikos – the bracelet is just not as good as the watch itself. But then they are only able to offer their watches cheaper than their Swiss competitors by skimping on the bracelet though…. Glad that you like the watch Ranvir! Hi! The Seiko SARB033 is a nice looking watch and impressive. Features in watch also very useful. It looks almost like a Rolex, i think cost may be less compare with Rolex. Recently I visited Rolex company in Dubai so i easily understand the similarities. If the person who is not interested to wear watches will definitely get interest to wear after reading this article. Hi Brahma. Thank you for visiting my website. The Seiko SARB033 really have a presence of a more expensive watch, but at a much lesser price. Thank you for your kind words. I’ve always strives to write articles to help people know more about watches and appreciate the art of watchmaking. Have a nice day! It’s with the use of a watch one may be up to date with time and it’s the watch that enable one to know when something has to happen. In my case, I have regarded the watch as an item for ladies only but today with the ideas I got from you I realized that a watch is an essential tool for a man! Now i have found that a watch is important and useful and am looking to buy my first watch in the upcoming months. Thank you for educating me and keeping me in line with other people in the world. Hi Jose. I was initially having the same perception as you: a watch is just an accessory for those snobs. But as I graduated and started working, time management become very important. 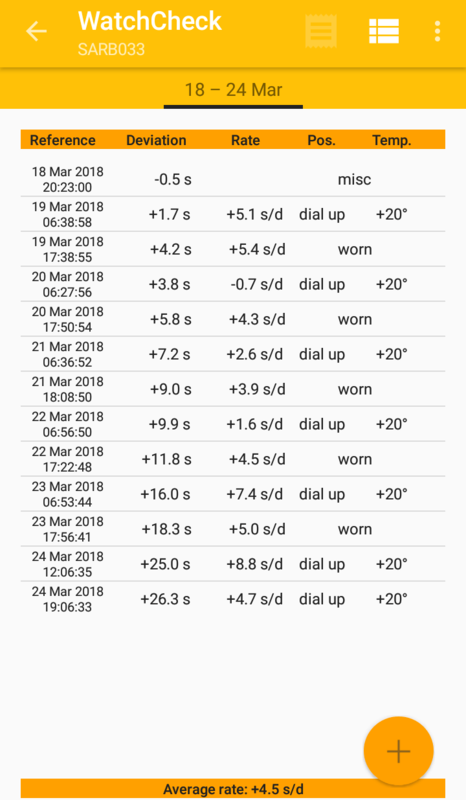 I’ve used my smartphone to keep track of time but I found that it’s quite a hassle to have to take out the phone from my pocket every time I need to know what time it is. With a watch, it’s very convenient. Just take a glance at your wrist and you can know the time. I’m glad that my post has helped you buddy. I love the look of the Seiko in the photo and yes it does look extremely comfortable with the lug hugging your wrist like that. The SARBO33 looks very impressive if you look inside at the mechanics. I would love to have a watch like this, but obviously the ladies version. I wouldn’t spend the money on a Rolex, as to me that is just over kill. Hi Michel! That’s one thing that I love about Seiko watches. The way how they shape the lugs to be hugging the wrist makes it very comfortable to wear and eliminate any empty space between the lug to the wrist (if the watch is very big). They also make sure the lugs does not have any sharp edges that can hurt your wrist. 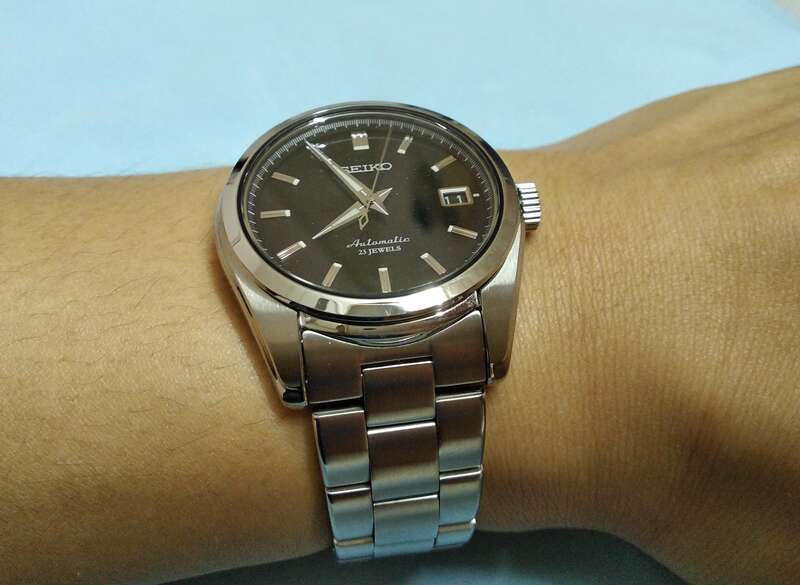 It’s a shame that Seiko don’t make any SARB033 for ladies with smaller diameter. The Japanese does not really produce a woman’s version, unlike Swiss watch makers that will always make a woman’s version for their watches. Anyway, thanks for reading Michel! Smart looking Seiko watch here. The comparison between the Seiko and the Rolex Datejust is minimal at a distance. I would bet that the price comparison is huge. Looks like I could wear this to a formal function with a suit any time. If I order online how would I go about altering the strap to fit? There are two ways to adjust the bracelet if you buy online. First, you can go to your local watch shop and have them adjust the bracelet for you. Or, you can buy a watch bracelet adjustment tool (you can search amazon for it. Typically costs less than $10) and do it yourselves. Here is a great video on how to adjust the bracelet link on Seiko SARB033 by using the adjustment tool (LINK). Seiko’s bracelet uses a pin and collar design. They both will be inserted into the bracelet. The collar is the one that really fit into the bracelet and act as locking device. Make sure you don’t lose them as they are quite small though.